Many people have different methods and use different programs for maintenance and backups of their Macs. I'm going to share my method, which is what I do every week on my main systems. All of the software I use is open source or freeware (with donations always accepted by the authors). The first thing you want to do before backing up your system is run your maintenance programs. Apple's Disk Utility works for fixing your hard drive and repairing permissions, but I prefer an all-in-one solution. My pick is AppleJack. With it you can repair your disk, repair permissions, remove swap files, validate preference files, and clean up cache files. It's a great (and fast) program with both auto-made or manual selection for each task. The best thing that I like about AppleJack is that you run it when you start your Mac in single user mode (press ctrl-cmd-S), so it will work even if your Mac is having problems starting up. Now that you have your system up to par, it's time to back it up. I connect an external hard drive for backup. I chose iBackup for this. I know there are more advanced backup programs out there, but I really like the ease of use that iBackup offers. Features include: built-in restore option, automatic selections to do backups of your preferences and applications, set custom profiles, plugin support, support for burn folder, can automatically compress your files, and much more. I really love the restore option; I use it when I move from one Mac to another, and it restore all my Mail settings and inboxes and all my bookmarks in Safari. 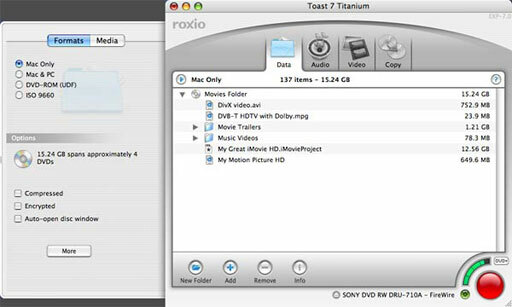 Lastly, now that you've created your backup on an external hard drive (or on an internal hard drive), you can burn it on a CD or DVD with Apple's built-in burners. Another way is using Roxio's Toast, which is free with some burners. I have the paid version, and it's great for burning backups of my external backup drive. I know making backups of your backups sounds strange, but it's always smart to have multiple backups. Toast also has a option to encrypt your media so no one else can access your backups. I have a 160 GB external hard drive that I use to back up all my machines, and I keep the latest backup on it. I have at least the last three backups for each machine on DVD-RW and even keep a copy at an off-site location just in case. On a last note, I don't like making bootable backups because it's a lot easier (and more fun) to just install whatever newest OS on the machine you want to restore and then restore your preferences. Than you're done. I did this when I upgraded to Tiger from Panther, and Tiger accepted all of my old preferences.